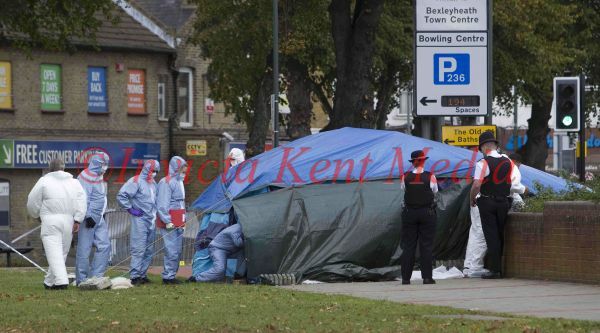 INVICTA KENT MEDIA: Stabbing outside Asda, Bexleyheath, Kent. Body still under tarp. Bicycle believed to be involved in the case. Stabbing outside Asda, Bexleyheath, Kent. Body still under tarp. Bicycle believed to be involved in the case.